The economic downturn in troubled West African country Nigeria has led to one unfortunate trend— increase in the crime of Kidnapping. 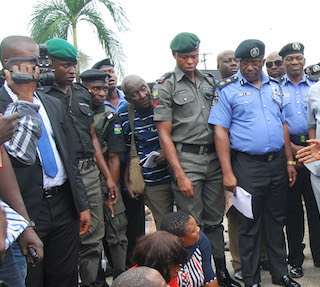 Recently a victim of suspected Kidnappers in Owerri, Imo state, met with a devastating fate. Its has emerged that some suspected kidnappers have allegedly killed an Owerri-based businessman Amaechi Ahanonu after they ordered his family to pay N500,000 ransom. He was abducted from his home. The suspected kidnappers had on Monday morning, stormed the Ahanonu’s house in Amato Orogwe in the Owerri West Local Government Area of Imo State and whisked him away. It was learnt that the gunmen, who were armed, arrived the residence of the businessman and abducted him after shooting sporadically into the air. It was learnt that the kidnap victim was relaxing with his family members as of the time he was taken away. They made their demands. 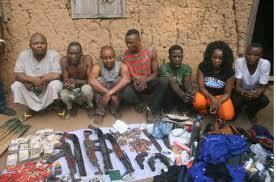 The gunmen, it was gathered, later established contacts with the family of the victim and demanded N10m as ransom. They couldn't raise the money. His family, however, could only raise N500, 000 before the abductors allegedly murdered him. The part payment of half a million raised by the victim's family angered the Kidnappers. The amount provided was said to have provoked his abductors, who allegedly killed him and dropped his corpse on a bush path along Ndegwu/Orogwe Road in Owerri West Local Government Area of the state. Nigerian millionaire Ameachi Ahanonu was killed by Kidnappers who received only 10 percent of the 10 million the asked for.